Sure, you can have ants on a log. 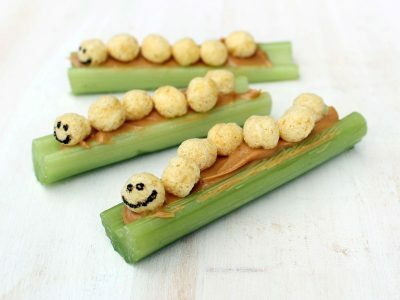 But wouldn’t you rather have adorable, smiling caterpillars crawling across your peanut butter-stuffed celery sticks? A fun, easy and healthy snack.